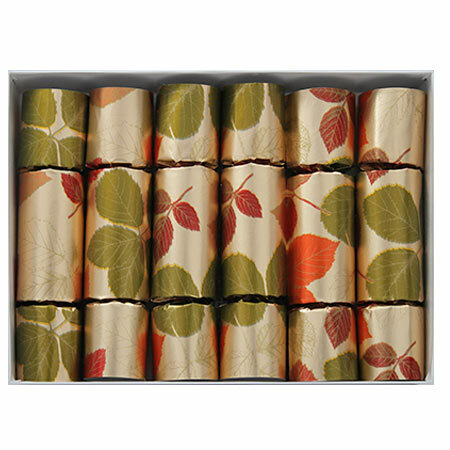 Availability: Also available as a boxed set of 6 filled crackers and a boxed set of 50 unfilled crackers. 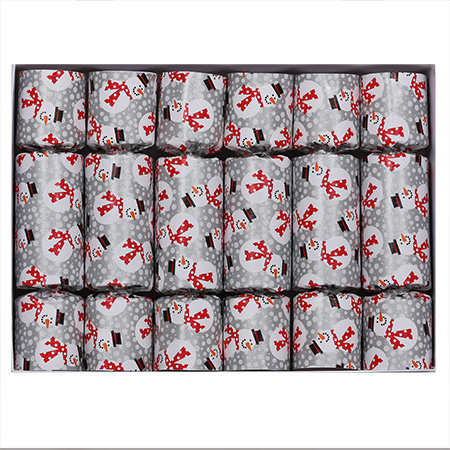 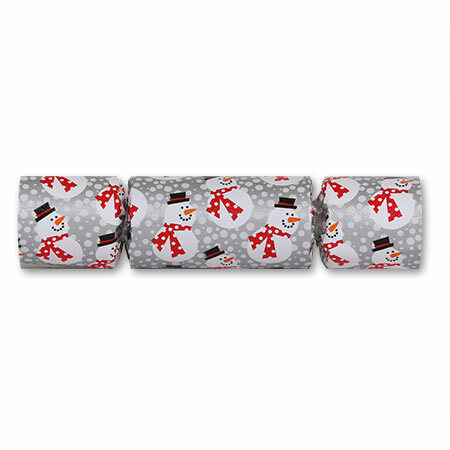 Description: This silver and white cracker is covered with images of a classic jolly snowman. 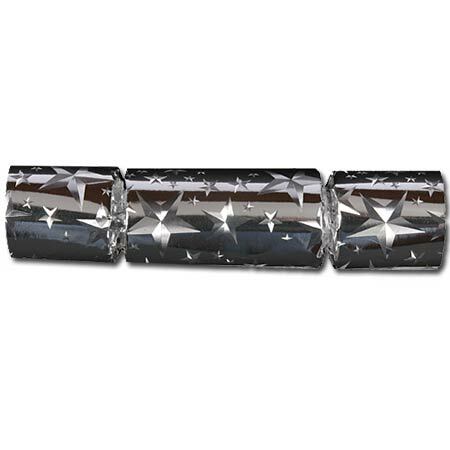 Each fully assembled cracker contains a paper crown (folded tissue party hat), a motto (British joke or riddle), and a cracker-snap. 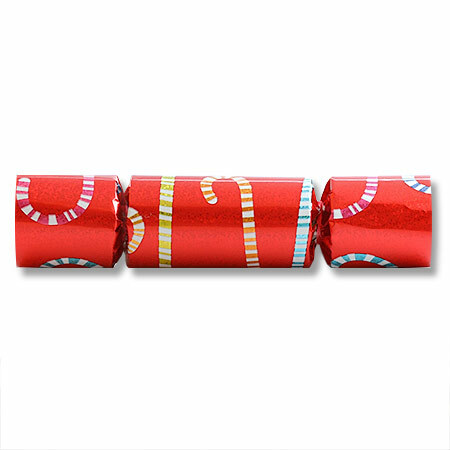 All you have to do is add your gift item(s) and tie the cracker shut with the supplied ribbon. 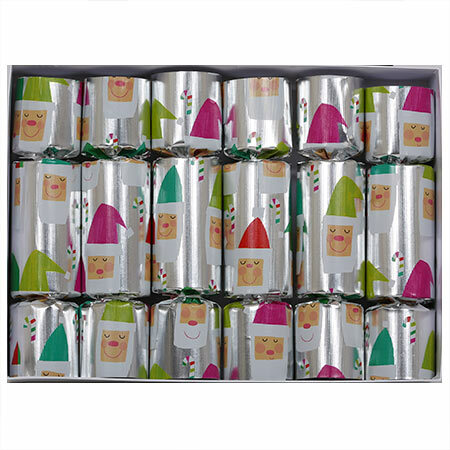 Instructions for filling the crackers are included. 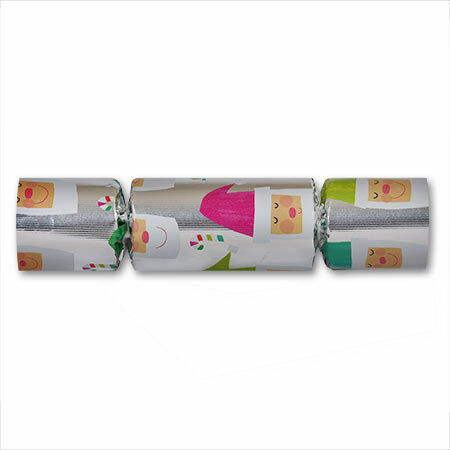 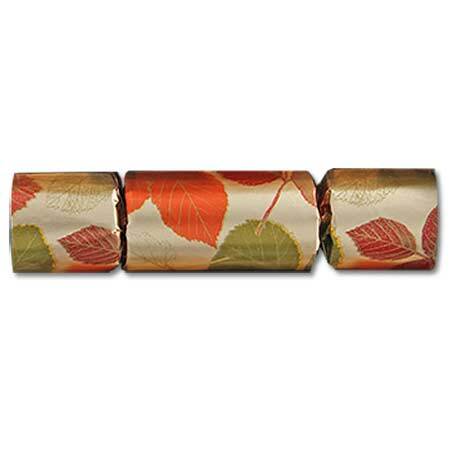 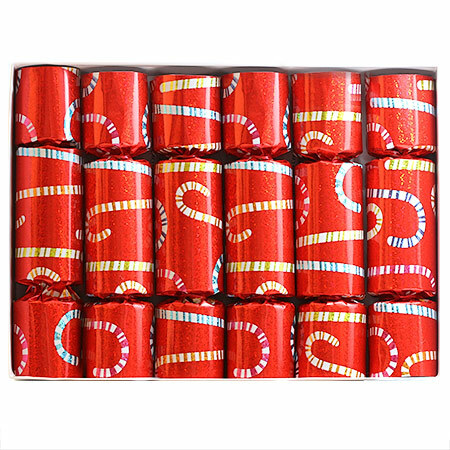 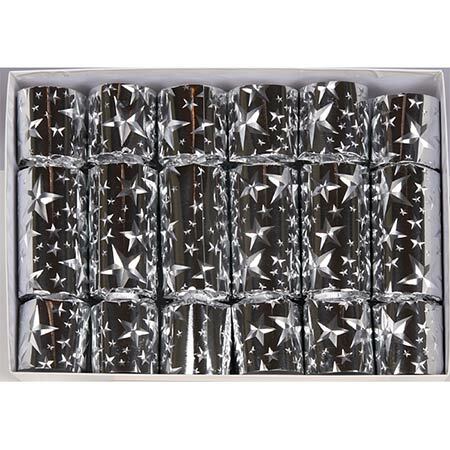 This is the perfect product for customers who want to personalize the gift contents of their crackers.